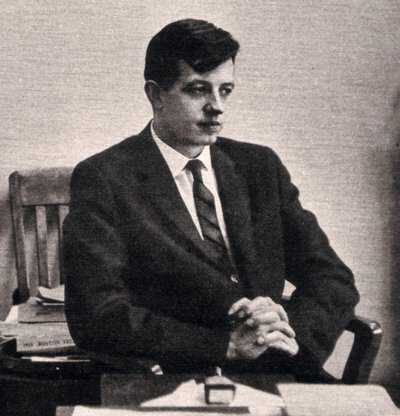 The political backdrop to John Nash's paranoid and geopolitical hauntings included the Cold War, fought not only with spies and bombers stationed abroad, but by FBI agents, demagogue senators, and fearful citizens working in places such as Washington, D.C., Hollywood, and Wisconsin. Some anti-communist maps of the post-World War II era showed half of all the world's countries colored red to dramatize the extent to which communists were said to influence the geopolitical world. With the perceived danger of a spreading worldwide communism came fear of a Soviet surprise nuclear missile attack. Fears grew into what many observers believe was a full-blown hysteria in the United States. 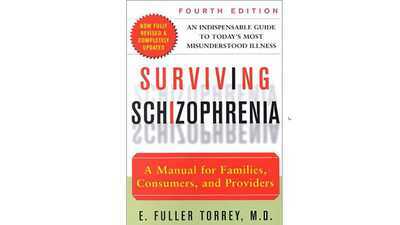 This world of real danger and sometime paranoia would provide a strangely parallel context for Nash's schizophrenia. In a world that was fractured into two camps -- one communist and the other capitalist -- Nash referred to himself as "the prince of peace." In 1959, at the onset of Nash's full-blown schozophrenia, he would mail letters to foreign embassies in Washington, D.C. declaring that he was establishing a world government. 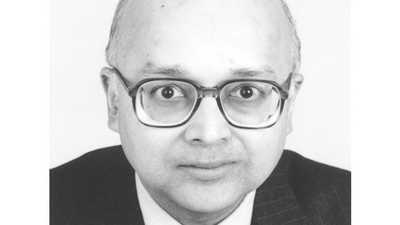 Years later, on his way to Stockholm to receive his Nobel Prize in Economics in 1994, Nash pointed out a bank to friends where he had once wired money to defend against an "invasion of aliens." Nash's delusional fears mixed with real-life ones. When war broke out between the Koreas in 1950, the young Nash was afraid he would be drafted by the American military, and succeeded in exempting himself. With the onset of schizophrenia his fears multiplied and eventually gained delusional proportions, leading him to attempt to relinquish his U.S. citizenship and seek political asylum abroad. Paranoia was not specific to Nash, however -- it infected the country in the late 1940s and 1950s. As U.S. President Harry Truman divided the world into camps of "tyranny or freedom," U.S. leaders also sought to make sure the supporters of tyranny were rooted from American soil. Attorney General J. Howard McGrath publicly proclaimed that there were "many communists in America" and that each bore the "germ death of society." The U.S. House of Representatives formed an Un-American Activities Committee (HUAC) in 1938 to conduct anti-communist investigations. One of the most famous, in 1947, examined the entertainment world for communist influence, and resulted in jail time for the so-called Hollywood Ten, a group of screenwriters, directors, and producers who refused to testify about their political beliefs. The following year, Whittaker Chambers' espionage allegations against former State Department foreign policy advisor Alger Hiss made headlines and the HUAC held even more explosive hearings. As a public forum for elected representatives eager to demonstrate their patriotism, loyalty, and effectiveness, the HUAC traded in vague, broad accusations and the presumption of guilt by association. The 1950 arrest of Julius and Ethel Rosenberg as Soviet spies fed fears of subversion in high offices. Senator Joseph McCarthy of Wisconsin took advantage of these fears by building a career on the harassment of many decent, progressive Americans. McCarthy's power peaked in 1952, when Republicans gained control of the Senate. Dissent no longer seemed safe, as civil servants, government workers, academics, and actors who had criticized America were attacked as un-American. Due process under the law was one of the victims of this Cold War hysteria. A fire department officer wrongly accused of membership in the Communist Party was dismissed 40 days before he reached his 25 years of employment, denying him retirement benefits. Navajos facing starvation in the bitter winter of 1947-48 were denied government relief because their traditional way of life was considered to be communistic, and therefore, un-American. African-American Paul Roberson was labeled a communist for his sharp criticism of American foreign policy, which severely curtailed his performing opportunities. Left-leaning Hollywood scriptwriters were permanently blacklisted. In 1953, while Nash was at M.I.T., FBI agents went after three members of the university's math department who previously had been members of the Communist Party. "M.I.T. was turned topsy-turvy," remembered Zipporah Levinson, widow to Norman Levinson, an M.I.T. colleague of Nash's at the time. "The faculty debated and debated how to prove that M.I.T. was patriotic. There was strong pressure to name names." The careers of many M.I.T. mathematics department members were threatened as the House Un-American Activities Committee subpoenaed the three math department professors. McCarthy's excesses were finally checked a year later in 1954, on nationally televised hearings, but the Cold War continued. 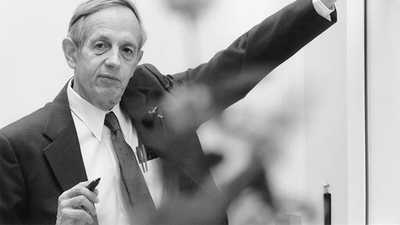 The mood of fear and suspicion would linger across the nation for years to come, and it would serve as a backdrop when John Nash's schizophrenia emerged.